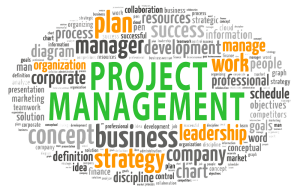 I recently attended the 2016 Annual Project Management Institute (PMI) Portland Conference, one of the largest PMI chapter conferences. It was held the last week of August and featured tracks in Leadership, Business Strategy, Technical Project Management, Agile, and Business Analysis. A good portion of tracks within Business Strategy and Leadership engaged attendees with real-life anecdotes around unconscious biases that affect our decision-making abilities, and why nice guys make terrible leaders. Other tracks fell under the umbrella of customer service and customer experience, a natural theme for all things Project Management which translates well to any industry in the business of making money – especially for those tasked with marketing their business and turning conversations into conversions. Customer Experience. Do you provide a product or service that your customer needs, but the experience of fulfilling the need falls short of exceptional? This is one of the most common, and easiest obstacles to overcome in any industry by simply considering every single one of your customer’s touch points with your company or product. For many of our clients, the customer journey begins online with a mobile device. Is your site optimized for a great mobile experience? If not, you are most definitely losing out on new business, and likely losing existing business because of a poor online experience. Asking Why. Another no-brainer, yet seemingly underutilized strategy in the customer service and customer experience journey, is aligning your business strategy with your customers’ expectations. What does that mean exactly? In one word – “Why”. Businesses are often defined in terms of products and services. However, your customers aren’t buying “stuff”, they’re buying an outcome. Understanding and continually asking your customers “why” is absolutely key in order to achieve the outcome they want. Why do you prefer this strategy over the other? Why do you need this product or service? Why did you choose us over our competitor? Why do customers need your product or service? The bottom line is, learn how to define your business the way customers see you and themselves, and align your strategy, marketing, and processes to meet and exceed their expectations. Combine this with a remarkable customer experience and you will have gained a loyal customer base who values you as a trusted partner in their success for years to come.